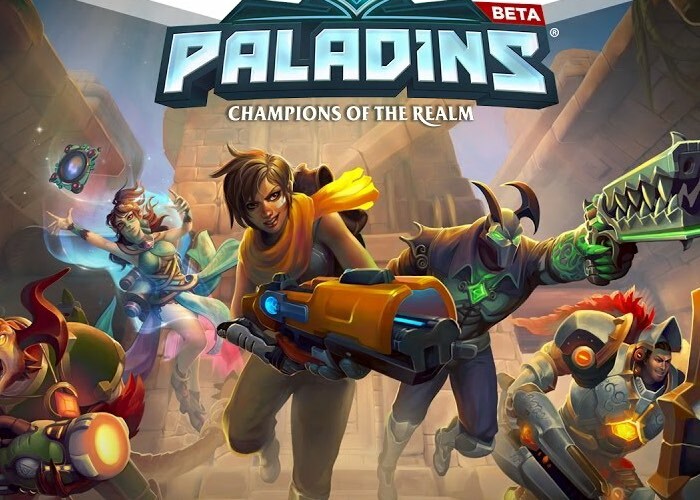 To celebrate the launch of the new Paladins Open Beta which is now available to download via Steam a new launch trailer has been released this week to offer a quick tease at what you can expect from the Paladins game. The Open BetaIs now available to download for both PC and Mac systems and offers a blend of fast-paced shooter action as well as a diverse lineup of characters to choose from with different skill sets, with a look of Overwatch. Fantastic Champions – Paladins is set in a vibrant fantasy world and features a diverse cast of Champions ranging from sharpshooting humans to mech-riding goblins, mystical elves, jetpack-clad dragons, and bomb golems. Each Champion brings a unique set of abilities to the battlefield and new Champions are regularly added to Paladins, keeping the game exciting. Free-to-Play – Paladins is completely Free-to-Play. Anything that affects gameplay can be unlocked simply by playing, with cosmetic items available for purchase. Card Mastery – Players collect unique cards for each Champion and build decks that empower their personal play styles. Gamers start with a basic deck of cards and unlock additional cards as they play, opening the door to creative new decks that radically change how Champions play. Players may further tweak their decks in-game with Burn Cards, making themselves stronger or counteracting opponents’ strategies. Level Up – No matter how players choose to play Paladins, they will gain experience points as they play. As they level up their account, master each Champion, and complete daily quests/achievements players will receive Radiant Chests and Gold which can be used to unlock additional cards, costumes, and weapon skins. The more players play, the more unique their Champions will become. Accessibility – Paladins is played from a first-person perspective. The controls are simple to grasp for newcomers and shooter veterans alike which makes for an easy pick-up-and-play experience, on either controller or keyboard and mouse.